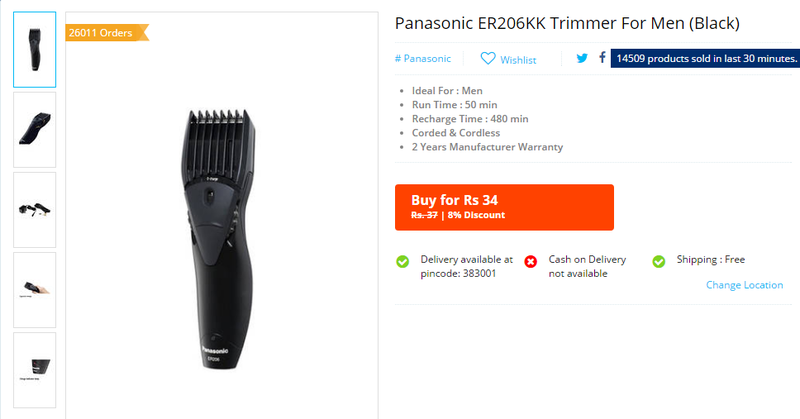 Panasonic ER206KK Trimmer For Men (Black) just for Rs 34 only with free delivery. Note - Pricing Error. Order may be cancelled. So dont get disappointed if order cancelled by paytm. Click on Buy for RS 34 .
now, pay via Credit/debit card or Netbanking. Thats it. Now Share this offer to your friends.